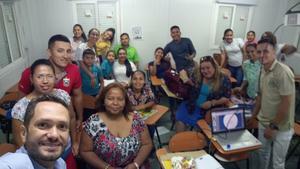 April 5th, 2019Teachers from Eugenio Perez Elementary School in La Palma, participated in the Pearson's All BIG Stars training session. 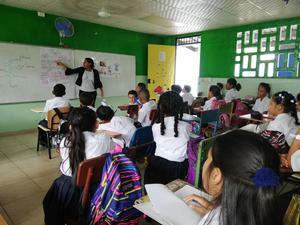 The teachers learned about the five steps for BIG Fun and BIG English, as well as the 5E Methodology for BIG Science. 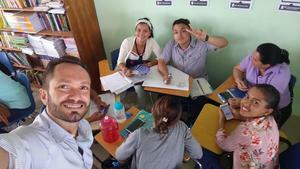 During the session they demonstrated to know about the process and shared their ideas with the new teachers. 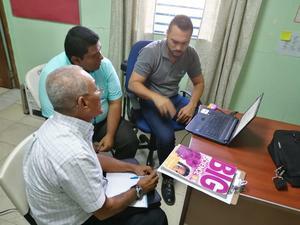 Science teachers from Panama Norte learn how to use Pearson resources and how to plan a science class. 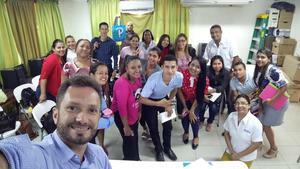 On April 3rd and 5th, Progress training was held in David-Chiriqui, at OTEIMA and UDI Training Centers. 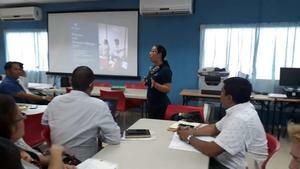 We had the participation of 5 instructors from OTEIMA and from 7 from UDI. Teachers are ready for this After School Program 2019. 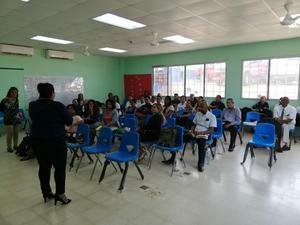 Last march 27, science teachers from Panama Norte received their first training about Usage of resources and Planning. 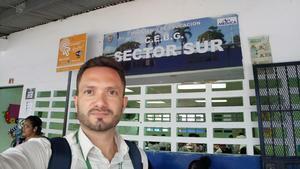 During the last days science teachers from San Miguelito have been doing GREAT jobs. Teachers from Marco Alarcon, Punuloso, Portuchada, Lajas Blancas and Membrillo Elementary Schools attended the Pearson's All BIG Stars training session. Teachers were asked to do short demonstrations about their practices, according to the five steps for BIG Fun and BIG English, as well as the 5E Methodology for BIG Science. During the sessions they had to plan their demonstrations with teachers from different schools, this means they could exchange their methods and create a new strategies. 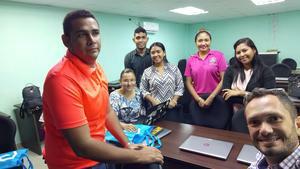 On March 18th, 2019 the Science teachers from East Panama had the opportunity to share their experiences among each other, as well as with the new teachers who will begin this year with the Science program. The 5E methodology for Science was presented like the way teachers must organize their classes and the way the students should be evaluated. The resources teachers receive in order to address their teaching, are really helpful because they do not have to invest time looking for extra material in other sources, so with the use of the ActiveTeach, educators find the resources needed to create engaging Science classes. Teachers from Agua Fría 1, Agua Fría 2, El Tirado, La Cantera, Cucunatí, Zapallal and Santa Fe Elementary Schools attended the Pearson's All BIG Stars training session. Teachers were asked to do short demonstrations about their practices, according to the five steps for BIG Fun and BIG English, as well as the 5E Methodology for BIG Science. During the sessions they had to plan their demonstrations with teachers from different schools, this means they could exchange their methods and create a new strategies.